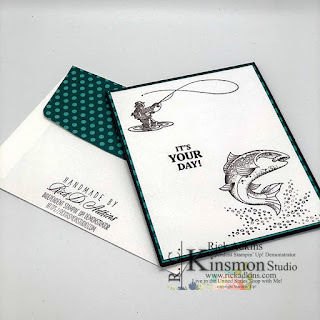 Hello and welcome to my blog; today I will be sharing a card that I am going to be making during my Saturday Simple Stamping Facebook Live. 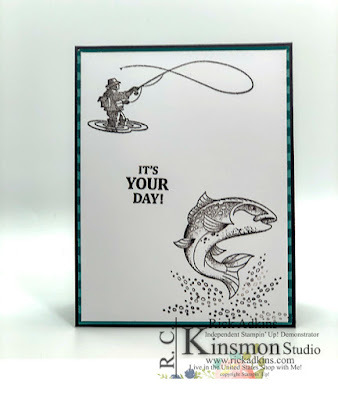 Today, I am going to be making a masculine birthday card using the Best Catch Stamp Set from the 2019 Stampin' Up! Occasions (Spring/Summer) Catalog. Here's a look at the card that I will be making. As a remember simple stamping is a way to share with someone that has never stamped before how to create a card using mainly just stamps, ink, and paper. Which is what I did with this card. 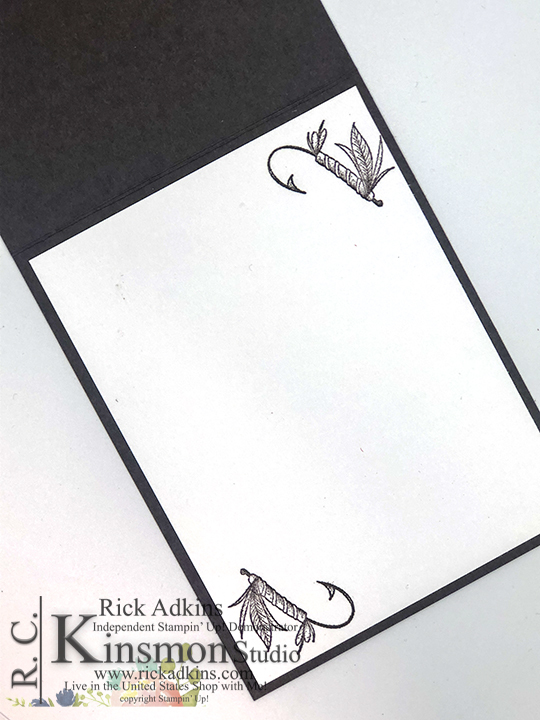 I started out with a card base of Early Espresso cardstock 4 1/4 x 11 scored at 5 1/2. 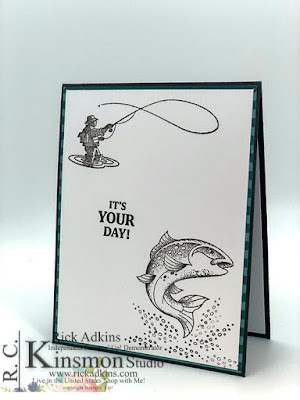 Next I stamped the fisherman and the fish on a piece of whisper white cardstock (4 x 5 1/4) using Early Espresso ink. I stamped the fisherman in the top left hand corner. I did this because of his size in comparison to the fish. In art there are spacial rules. One is that the farther away something is the smaller the object will look, the closer the object is the larger it will appear. So knowing this rule, I placed the fisherman in that corner, then I placed the fish in the bottom right corner. Once I had everything stamped I added a mat made of designer series paper. I used the 2017-2019 In Color Designer Series Paper Pack and picked the tranquil tide stripped piece of DSP to create the mat. I also used this same designer series paper (DSP) to the envelope as well. I also stamped the fish on the envelope and the fly. Yes, you should be impressed that I knew that that was called a fly even without having to look it up online. By the way the mat for this card was cut at 5 3/8 x 4 1/8. For the inside of the card I used another piece of whisper white cardstock (4 x 5 1/4). I stamped the fly in the inside at the top right and bottom left. I added this to the inside with multipurpose liquid glue. 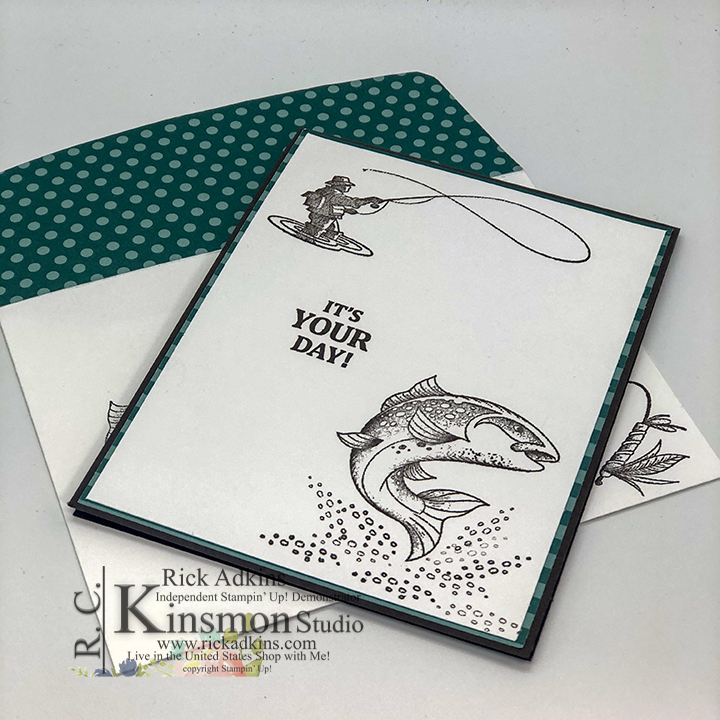 I didn't add the designer series paper to the inside because I wanted to make sure that the inside still had a masculine feel as well as stayed with out goal of simple stamping. As I said I wanted to keep everything simple but masculine as well, even with the envelope. I shared a little about it up at the top but I wanted to share just a little more. For the front of the envelope I stamped the fish right next to where the address will go, and at the bottom added the fly. On the flap I added a piece of the same designer series paper as I used for the card. I cut a sheet down to 2 1/2 x 6 and adhered it to the envelope flap. Then trimmed it out around the edge. I ended up with the polka dots showing because I added glue to the wrong side, LOL, but I think that it worked out really well. I ended up liking the polka dots it reminded me of bubbles. 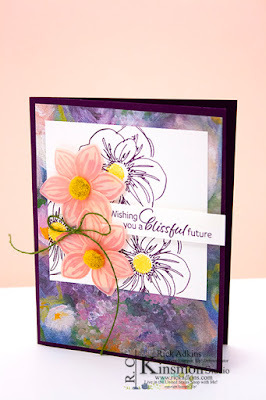 Thanks for dropping bye, I hope that you have enjoyed this weeks episode of #simplestamping. 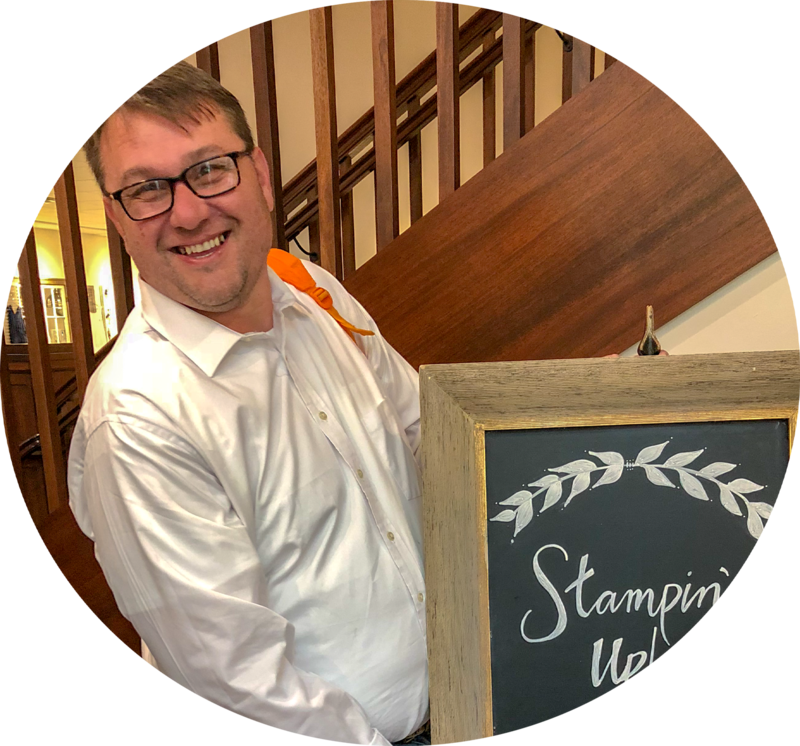 Make sure to join me next week for another Saturday Simple Stamping Episode. Have a great weekend. 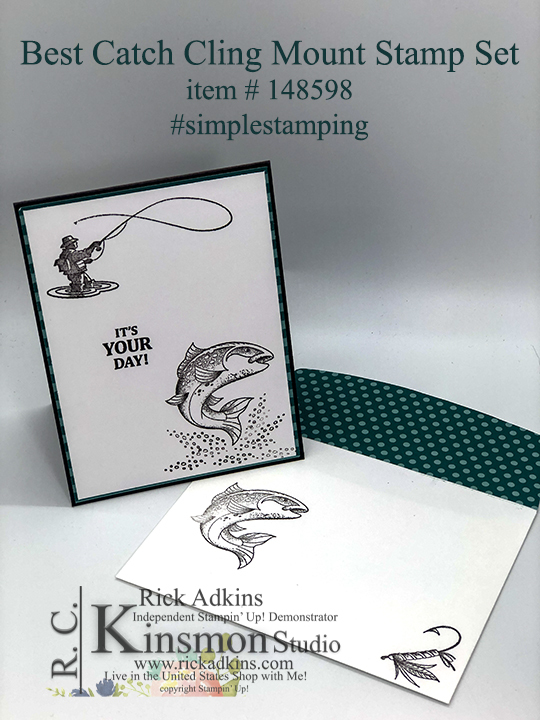 Labels: stampin' up!, crafts, cardmaking #simplestamping, Best Catch Stamp Set, Masculine Birthday Card, rick Adkins, Stampin' Up!